Welcome to the first in a new series of weekly news blogs looking at recent developments in the eCommerce world. Microsoft VP of Retail and Consumer Goods, Shelly Bransten, confirmed in an interview with The Information that “our customers are asking us for [a Shopify rival]” and it’s “something we’re looking at very seriously”. 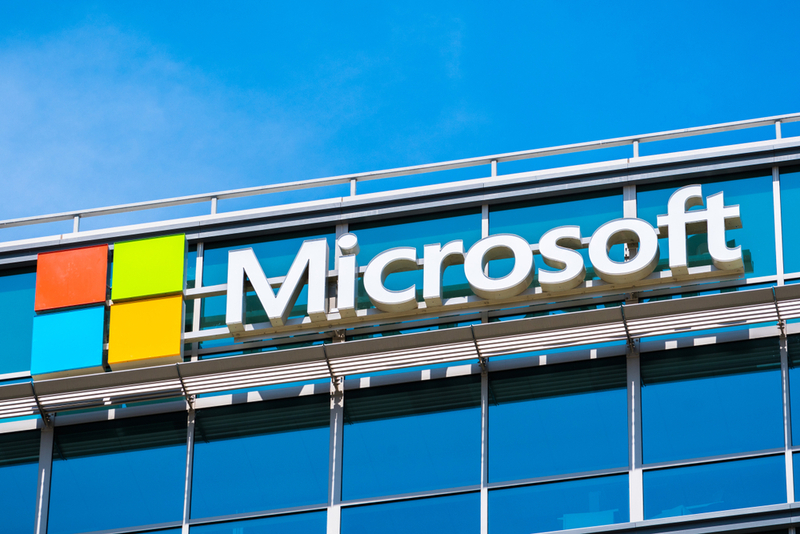 Existing Microsoft brand Microsoft Dynamics boasts customers as big as Walmart (which has been making strides in US eCommerce lately) and provides them with order fulfilment and inventory management support. A hypothetical Microsoft Shopify would have a lot of extra tools to draw on. Following Square’s purchase of Weebly last year, Square Online Store launched this Tuesday, providing Squarespace customers with a set of authorised tools to build a storefront into their site. The company are particularly keen to promote their restaurant support. Businesses will be able to offer online ordering from their own website, take payment online at order, and set customised pickup times for different locations in the same chain. Pricing for Square Online Store includes a free plan, in which the company recovers costs with a 2.5% transaction charge. However, paid plans offer additional features and lower per-transaction charges. Trialling now in the USA, Shipping with Amazon is a new service from the online giant, operating in Los Angeles, New York, and Chicago – and set to roll out across the US and beyond as it succeeds. The service itself essentially bypasses third-party delivery companies and Amazon distribution centres. Under Shipping with Amazon, items are collected directly from the seller’s own warehouse for direct delivery to customer. It’s currently only recommended for Prime fulfilment if the customer is within a two-day shipping radius of the seller’s warehouse, and only in use with a hand-picked group of sellers. However, it’s also being used for non-Prime fulfilment within a 5-day radius. On the face of it, Shipping with Amazon seems to be a natural growth of the company’s logistics arm. Quite how big the service will become is hard to guess; expansion requires significant physical investment, so it may be one of the slower initiatives to expand. But with Fulfilment by Amazon already offered as a shipping option for non-Amazon purchases, Shipping with Amazon has the potential to become a new delivery network – one built from the ground up for the digital age of retail. Following successful US trials, the UK seems like a natural next expansion; a high-density market with over 15 million Prime customers alone where no two points are outside a two-day shipping radius of one another. Amazon Seller Central rolled out two new changes to kick April off. The first is an additional targeting mode for Sponsored Product Ads. Traditional Sponsored Product targeting is still the default, now known as auto-targeting. This is done by keyword and by product. New to Seller Central is Manual Targeting. Amazon Sellers now have the option to target Sponsored Product ads against product features, brands, categories, and even specific ASINs. The other new change is a redesign of their Add a Product system. It’s designed to make it easier to match products to existing ASINs or create new listings. Sellers can also mark ‘favourite’ categories, so they’ll have a quicker time selecting category for their usual products. Editing listings now brings up a side-by-side comparison as well, and there’s a dedicated error checker looking for input errors as you enter product information. Needless to say, the Amazon team at Cloud Seller Pro are delighted to have the extra tools at their disposal! Amazon recently noted that around 58% of its sales are made by third party sellers. As part of encouraging that, referral rates in a number of product categories have been reduced. Third party sellers in those categories will now retain more of their profit. We looked at this announcement in detail earlier, and you can find a breakdown of the changed rates and examples of how profit will increase on different transactions here. Google Shopping users can now take full advantage of their Offer Drop Alerts service. Simply put, Offer Drop Alerts sends you an email if Google Shopping notes a significant, unplanned drop (20% or higher) in the number of items active for sale drops – even if it only drops for one country. So if new rules are applied to your account which cause many products to stop being available, you’ll get an email – and if you didn’t plan to suspend sale on those products you can fix it. You’ll also get an email if any other error causes the same kind of drop. You’ll find these alerts in the ‘Users’ preference section of Merchant Center, in ‘email notifications’ and can toggle them on or off. ← UK Mail Packets Closure – What Are Your Alternatives?